So, you’ve gained a few pounds because you can’t satisfy your hunger for rich, dark chocolate, and you find yourself getting teary-eyed more often than usual, not to mention you feel like you need a crane to drag you out of bed in the morning. How SAD. 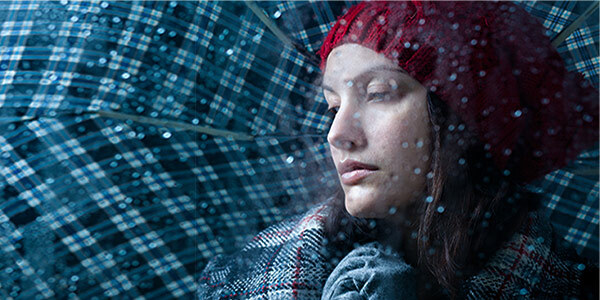 That is, you could be a victim of SAD or Seasonal Affective Disorder. Researchers have found that SAD, also known as seasonal depression, occurs in countries where days shorten and sunlight decreases. Studies suggest that the lack of sunlight and longer nights causes a hormonal imbalance that results in a shift in our internal biological clocks, leaving us to feel “out of step” with our daily schedules. 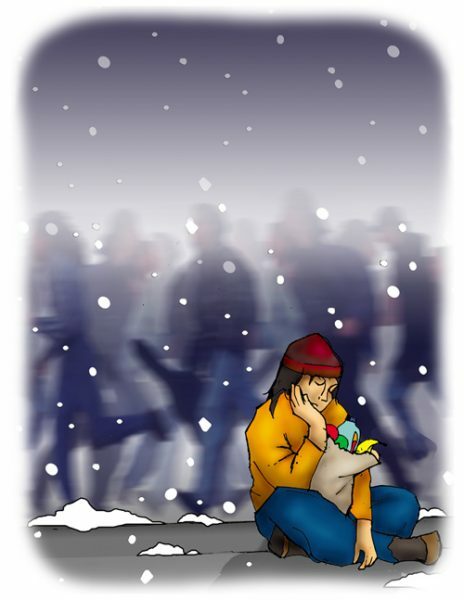 Adolescents, children and women are most susceptible to this seasonal onset of depression that manifests itself through several symptoms, which include increased depression during the winter months, increased cravings for junk food, weight gain, inability to concentrate, crying spells, social withdrawal, bodyaches and pains, lack of energy and excessive sleeping. The intensity of SAD differs from person to person; while some can manage to make it through winter, others feel quite burdened. If you suspect you have SAD, watch for a pattern and compare symptoms to behaviour from the previous winter as well as that of the summer. Consult a doctor immediately if you think you might have SAD, but take into consideration other factors that may be responsible for feeling blue like a recent break-up, family conflict or academic pressures. SAD is usually treated with light therapy, a nutritious diet and exercise. Light therapy or Phototherapy increases the amount of light hours in a person’s day. A sufferer is usually exposed to bright lights for about 30 minutes a day, under which they must stay awake (but not stare at the lights). Special bulbs and lighting products are available in the market. It is also recommended that you sit in a brightly lit room with light coloured walls that allow the light to be reflected well. Natural herbal remedies like St. John’s wort, which has been used to counter depression, are also becoming popular for the treatment of SAD, but remain scientifically unproven. Regulating your diet with low fat, high protein foods is another way of minimizing the effects of SAD. Best of all, getting regular, outdoor exercise during the day helps take care of the lack of sunlight. Even if you’re not indulging in heavy physical activity, make sure you walk outdoors or workout in a brightly lit room. Fight winter with all your energy; keep out the sniffles, and other aches and pains that accompany those exceptionally long winter nights. Cozy up with some vitamins and antioxidants. Let the vitamins boost your immunity, while the antioxidants take care of harmful free radicals that your body produces as a result of the immune system fighting infections. Invest in Vitamin A: Even though fruits and veggies like carrots, yams, cantaloupes and spinach may not excite your palate, eat them anyway since the beta-carotene will help your skin, which is the first line of defence against bacteria and viruses, to absorb the sunlight. A glass of milk a day also helps. The Vitamin C Defence: Fond of citrus fruits, strawberries, red peppers or kiwi? All of them also work against the onset of a cold. A daily dose of a 1500 mg vitamin C tablet will also do the trick. A glass of orange juice in the morning will not only boost your immune system but it will give you that extra surge of energy that you’ll need to trudge through the snow banks. The Garlic Factor: Research suggests that garlic helps cut down on your chances of catching a nasty cold. It’s also good for the heart but your breath might need some refreshing. Veggie and Meat Eaters Unite: As one of the body’s prime infection fighters, your white blood cells could always use some help, but especially in the winter months. Lean red meat such as beef is a good start, or try oysters if you’re really adventurous as they contain lots of zinc and iron that is necessary for the healthy production of white blood cells. For the vegetarians out there, make sure you take double portions of cooked chickpeas, veggie soy burgers, and wheat germ whenever you can. Yummy Bacteria: Believe it or not, there is such a thing as good bacteria, and it keeps you healthy. Found mostly in yogurt, streptococcus thermophilus and lactobacillus bulgaricus activate disease-fighting cells and also work well with people who are lactose intolerant. Look for yogurt products that enlist live bacterial cultures. However, avoid frozen yogurt products as the process of freezing kills the bacteria.